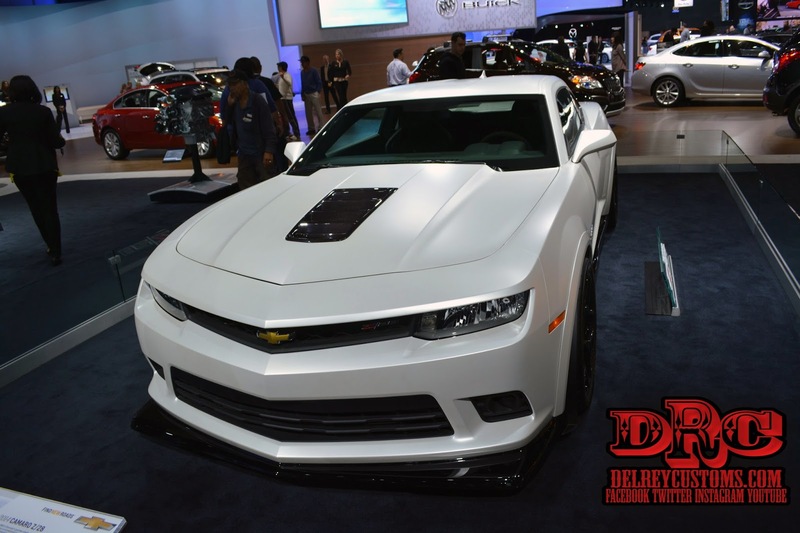 Saturn Killed check out the new Z28 Camaro at the 2013 LA AUTO SHOW in Downtown LA!+Looxcie let Saturn on loose with the new Looxcie 3 to see what he could do with it during the LA auto Show. 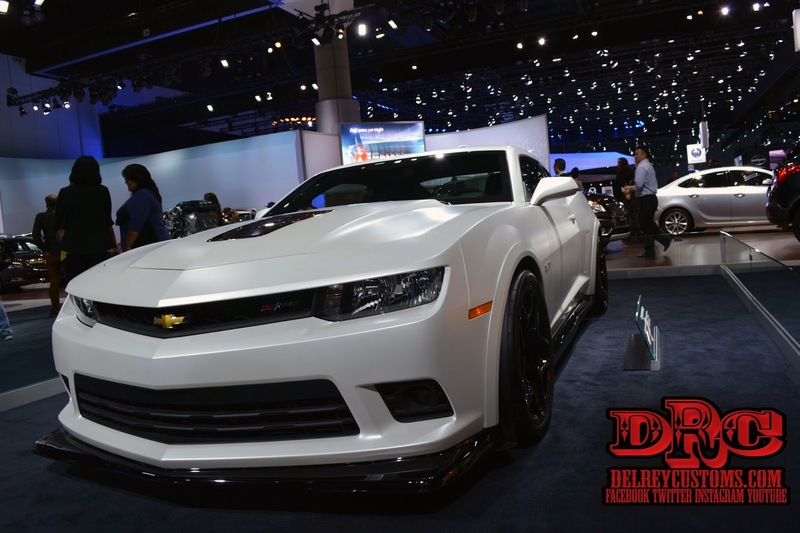 +General Motors Brought some Heat this year with the re introduction of the New 2015 Camaro Z28. They also have fine selection in their +Camaro Zone including the +CHEVROLET CAMARO ZL1, +Chevrolet Camaro SS and the +Chevrolet Camaro RS.+Chevrolet over all had the best showing when it came down to the +Muscle Cars And Hot Rods for their 2014 line up. With the availability of the 2014+Corvette Stingray in 6 different package options making it the Year of Chevy. 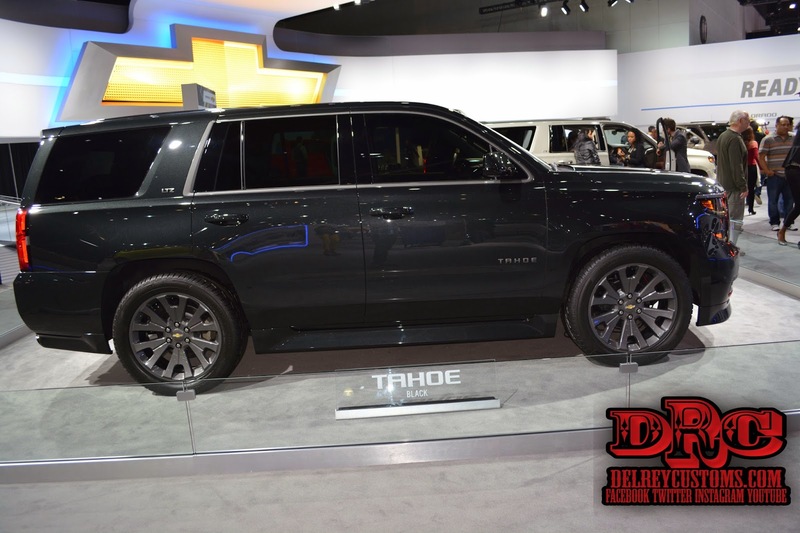 Also I did get a photo of the new +Chevrolet Tahoe Black Edition which was a beautiful SUV debut at the show. The spec for the New Camaro Z/28 Come of Chevy website and it is Incredible. only 40 less horsepower than the ZL1 supercharged LSA motor and is just making a ton of power. We have not seen this much horsepower in a factory line up since DOT crackdown on the Automakers in 1972. 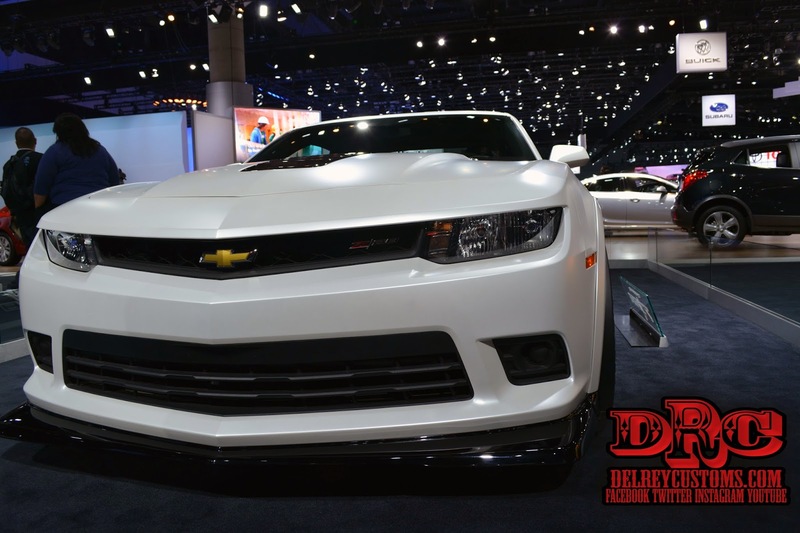 Over the past few years after the bailout, Chevy has made great strides to improve the final product to the consumers. Also now most manufacturers are offering Matte finishes this year as well as an introduction of the ZR-1 in a convertible model we will get into later in this article. Durable, lightweight components such as titanium intake valves and connecting rods coupled with a forged-steel crankshaft make the LS7 engine incredibly robust. The standard 10.5-quart, dry-sump oil system distributes pressurized oil from an external reservoir to protect vital components under high-g driving conditions. Power is distributed to the rear wheels via a limited-slip differential, which features a helical gear set rather than traditional clutch packs that continuously adjusts torque bias allowing drivers to confidently lay down more power to get through corners faster. Coupled with the Performance Traction Management (PTM) system, drivers can adjust the level of throttle and brake intervention to match their capability and driving environment, essentially making PTM custom to each driving situation. The legendary Camaro Z/28 is back for the 2014 model year. Originally introduced in 1967, Camaro Z/28 was designed specifically to compete in the Sports Car Club of America's Trans-Am 2 class. Lightweight, nimble and incredibly powerful, the original Z/28 was designed ideally for road racing. The 2014 Z/28 carries the same racing credentials, running a lap around the Nurbürgring in an impressive 7:37.47 in inclement weather. Z/28 features a cooling system designed for the track — standard. This incorporates the dry-sump oil system of the LS7, which connects to an integral liquid-to-liquid cooling system for engine oil. Another liquid-to-liquid system provides cooling for the transmission and differential. The 2014 Camaro Z/28 pays homage to the exterior of the original legend while capitalizing on 21st century design elements and technology. Z/28 was born to be a functional instrument for the track, utilizing best practices and influences learned through racing. Camaro Z/28 has aerodynamic treatments designed to produce downforce — specifically at track speeds. A large splitter connects to an underbody panel to further reduce lift. Fender flares over the front and rear wheels and extended rocker panels contribute to aerodynamic stability. Z/28 also features an aggressive rear spoiler and functional diffuser to complete the fully integrated aerodynamic package. The tires on Camaro Z/28 are robust and massive +Pirelli North America PZERO™ Trofeo R† 305/30ZR19 summer-only tires† — ideal for lateral motions, like corner entry and exit. Camaro Z/28 features lightweight Brembo® carbon Ceramic Matrix™ rotors and fixed, monoblock calipers. The huge 394 x 36 mm front rotors are paired with 6-piston calipers, while the 390 x 32 mm rear rotors are paired with 4-piston calipers. Compared to similar-size two-piece steel rotors, the lightweight and large carbon calipers save 22 pounds, while encouraging impressive stopping power and heat toleration — ideal for track use. Camaro Z/28 is one of the first production cars to feature race-proven spool-valve dampers. The spool-valve damper allows 4-way adjustment to precisely tune both bump and rebound settings for high-speed and low-speed wheel motions. The wider tuning range dramatically increases the damper stiffness on +Chevrolet Camaro Z/28 without significantly impacting ride quality. The all-new driver and front passenger racing seats are designed by +RECARO Office Line . Aggressive bolsters ensure both passenger and driver remain firmly planted, even in high-energy driving situations. A flat-bottom steering wheel opens leg room for entry and exit, as well as quicker heel/toe shifting. A short-throw shifter allow for rapid, confident shifting. Now at first They Tricked me in the Video Thinking the car had an +3M Schweiz wrap but it was actually the Optional Matte Pearl White or Matte Grey Paint option. The Z/28 will be a late 2014 introduction to the North American Market. I went on Chevy Website an was going build one online but the option is not available as of yet. 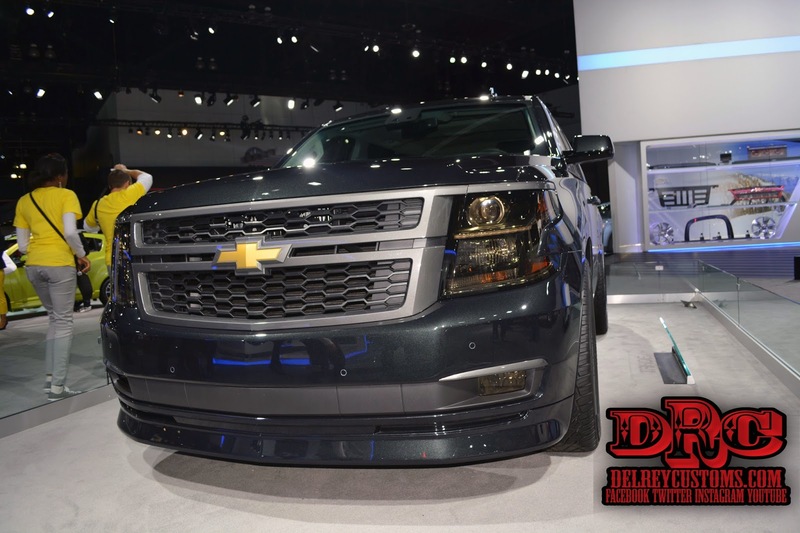 The other Vehicle that Caught my attention was the 2015 Chevrolet Tahoe Black Concept they Debut at +SEMA Show. This is a new trend that we are seeing in the Automotive Industry. All the options are avaiable from the factory option. From the blacked out taillights to the blacked out LED head Lights. They will offer a Custom set of Black 22' wheels and factory 10% window tint to complete the Transformation. The rims option is $6800.00 alone which you can get a set of nice +Vossen Wheels which the stock option look real similar to and the $600.00 Tint option you can get at your local +12VOLTS Car audio shop for much less. I know at +Delreycustoms we tint an SUV for 199.99 after our +LivingSocial deals. 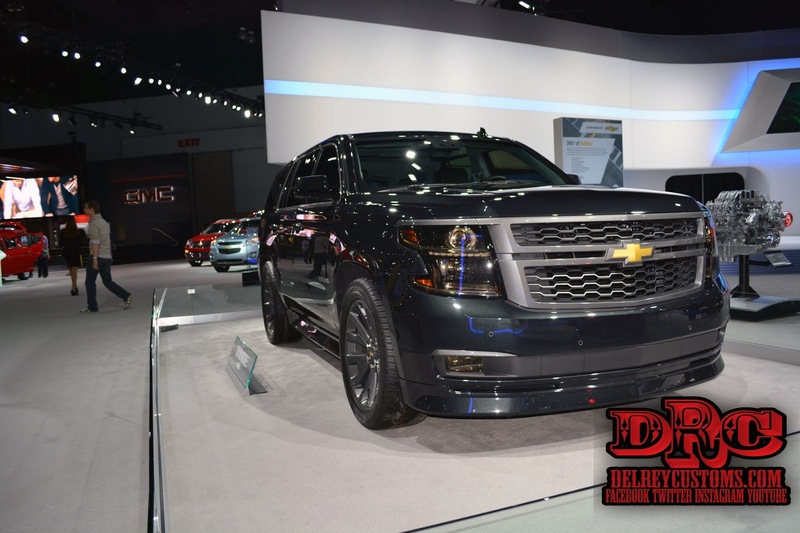 The Black Diamond Concept is also available on the Avalanche for 2014 lineup. The new 2015 Colorado was available at the show but it look like a +Toyota USA Tacoma so I assumed the car was in the wrong booth. But The Colorado will be available and Its rounded out and much smoother and sleeker than the predecessor. I have been doing something this year and having some fun is going on the web site and creating a DRC edition of the Vehicles. I actually bought a Colorado back in 2004 when it was first introduced from +Tom Bell Chevrolet in Redlands, CA. So looking over the Options and colors from On Line Configurator. Good news is the car will hit the market in Fall 2014. Bad news is it's not in on the website either. So Here our take on the 2014 Camero SS. Well start with the 2SS platform, Summit White Exterior with the Black/Red Interior. Wheels we will go with the stock Black 20". The car will Load the SS LE1 Performance Package Automatically, Short throw shifter, 6 speed Manual Transmission, I actually know how to drive and Have an +SCCA San Francisco Region Class A license. Well I give up Try the online configuration at your own risk the GM Site keeps freezing I think we need to get +Verizon FiOS at the shop so I can have a good connection. I hope you enjoved this article Check us out online. Subscribe, Share , +1 me or share this to face book. I hope +Car and Driver Magazine +Auto Trader +Top Gear USA +Top Gear America Some on runs this article. Hell I would kill for a share on +Auto Blog +Automobile Magazine +Automotive News +Hot Rod Media +Hot Rod Magazine +YouTube Creators Some one some where must be +Here, Read This or +Bloggers Network may crash!!! Thank You and Good Night!!! !